Lincoln is now one of the two people who have impacted my character the most. The other being my father. I think that's enough said. This book will forever remain in my top 10. 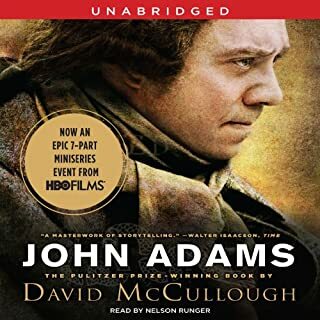 Would you listen to John Adams again? Why? I'm about 15% through right now--will update this review when I finish. Adams is bravely, un-self-consciously honest. This means that all of his diary entries and letters are incredibly insightful into his own spirit and into the circumstances of his life and his world at the time. McCullough is a brilliant author. Within 30 minutes, my ivory-tower view of this Founding Father had been replaced with a realistic portrait of a farmer, father, lawyer, patriot, and friend. I felt like I knew Adams well and could indeed predict his behavior as the story carried along. Incredible of McCullough to pull that off in less than an hour, and without doing damage to the storyline!! For that alone, I am already grateful for the book! Which character – as performed by Nelson Runger – was your favorite? Chapter 3, 16 minutes. Adams says with regard to the trials of the British soldiers charged in the Boston Massacre, "Better that many guilty persons escape punishment than one innocent person should be punished. The reason is because it's of more importance to community that innocence should be protected than that guilt should be punished." I loved Adams' description of his school children when he taught at Worcester, MA before entering the profession of law. Adorable and imaginative. He was truly the consummate people-watcher and never failed to share his observations with his diary! 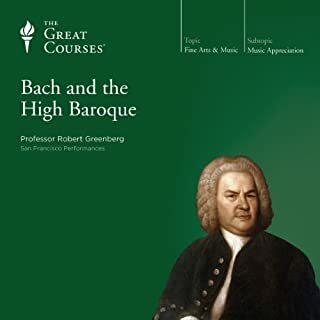 What did you love best about Bach and the High Baroque? Professor Greenberg's able, lucid explanations of the components of various Bach pieces and why they are so brilliant, actually allowing us to hear the brilliance for ourselves.Also, that I was able to hear so many wonderful pieces of the Baroque era (and some Renaissance pieces for contrast) with an expert to show me their beauty. What was one of the most memorable moments of Bach and the High Baroque? Gotta be the whole section on the Toccata in D Minor as mentioned above. This was the first time I EVER felt like I understood an indescribably beautiful piece of music as it was meant to be understood. Priceless!!!! Oh, boy, I would have loved to! But it took me three weeks, I think. Greenberg is a tremendous professor. That's an understatement. He repeats things just enough times so you don't forget, but not to a discomforting level. He's got a great sense of humor. He's got an easy voice to listen to. He uses words carefully but easily. Awesome guy for this course. He's got 10 or so others in The Great Courses that I look forward to hearing eventually as well. 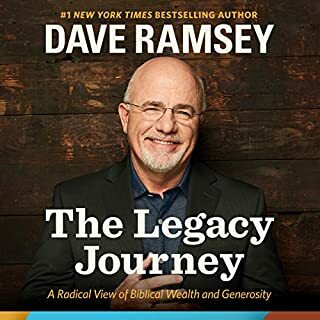 Overall, it is a very healthy, biblical view of money that Dave Ramsey promotes, and I'm very grateful for it. I look forward to sharing these principles with my clients and family and friends. I love that he hammers the most important biblical principles about wealth management over and over again. It is redundant, but that's what I needed because I'm so stuck in my old ways of thinking about money. What I didn't like: I felt like he went all over the place without any clear destination or overall point. His movement was erratic, not clearly progressive and smooth. 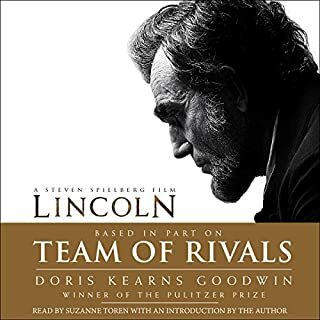 However, I listened to this audiobook over several sittings, so it is certainly different from listening to it all at once and especially from reading a paper book. I'm not used to audiobooks quite yet. So my perception of his movement could have been off. Highly recommended for its biblical view of managing God's money, despite the lack of literary beauty. He gets his message across effectively and quite authentically (if you've heard him elsewhere, you'll know what I mean by authentically when you hear him read his own book).